Why Choose Raintree Auto Body? Raintree Auto Body issues a Limited Lifetime Warranty with each repair that it performs. Although it is not transferable, it is good for as long as you own your vehicle. We are able to issue these very strong warranties as a result of the quality and detail put in to every repair performed by Raintree Auto Body. Looking for the best auto body shop in town? I highly recommend Raintree Auto Body. Charlie was awesome in expediting repairs and negotiating with Geico claims dept, making sure my car repair bill was completely covered by Geico and even stepped up offering to cover remaining days on car rental. My Toyota Prius looks showroom ready once again! The car looks and drives like new. Great, professional and courteous service from Adam Torres at Raintree Auto Body as well as the women at the front desk. Rental car was the same.......very easy. Insurance handling thru Met Life was also terrific. No complaints at all. We are the owners of a brand new Mercedes Benz C300 which unfortunately was involved in a hit and run accident that had extensive damage and required the replacement of the rear bumper and other internal parts. We were referred to Raintree Auto Body where we had the pleasure of meeting Charlie Abbinanti who helped through the whole process. He negotiated with our insurance company and had the car back to us in 10 days. The car looks brand new again. A woman backed into my car and did about $1000 worth of damage. It only took about 5 minutes to Drop off my car and then I was taken to enterprise rentals around the corner. Adam at Raintree did an awesome job. He went above and beyond the repair. I had a few little areas where the paint chipped off and he covered those too. I got my car back In less than a week. I highly recommend them. Ask for Bob and tell him Tesla Tudor gave you 5 stars. This was the best body shop I ever dealt with. They are so nice and incredibly efficient. They even finished my repairs early. Usually I get one prediction of how long it will take and see my car agsin weeks later. Here I was told a month and it was about 3 weeks. Adam was the best. Everyone should use this place. I can't say enough good things about Raintree Auto Body. They really did an amazing job. Not only an amazing job on my car, but also where it really counts . . . customer service. Adam communicated with me regularly to give me updates and my car was ready when promised. While I certainly do not wish to have my car involved in an accident, I know where I will be taking it if I ever have damage in the future. Thank you to everyone at Raintree. I learned how to deal with my insurance company so that my premium wasn't affected and still covered. They moved the process faster along because my insurance company was holding us up. Shayne offered great customer service. Hopefully I don't need them again, but if I do I wouldn't go any where else! Here at Raintree we are Tesla repair experts. We were not only the first Tesla certified repair facility in Arizona back in 2012, but we are still one of the only factory hands on trained Tesla repair facilities in the state of Arizona today. 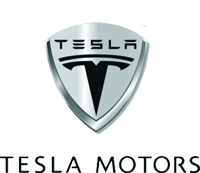 You see our technicians were continually trained at the Tesla Motors production facility in Fremont California. There they were able to receive in person interactive instruction from Tesla’s lead factory instructors. Instructors that provided them with the crucial hands on and pro active intimate training needed to repair your Tesla to its pre damaged factory state. Most other Arizona Tesla repair facilities can not make this claim because they have all just recently been trained by taking an online computer coarse only. Over the past five years our hands on factory trained Tesla technicians have repaired hundreds on Tesla vehicles, and are standing by here today to repair and care for your Tesla vehicle, with the same experience, knowledge, and expertise they used to repair all those other Tesla vehicles that came before you. Raintree Auto Body is The Only Tier 2 Certified Mercedes Benz Repair Facility In the State Of Arizona. Without a Mercedes Benz Certification a Bodyshop will not be able to purchase or attain restricted Mercedes Benz replacement parts to repair your vehicle correctly. Raintree Auto Body is a full-service automotive collision repair company located in Scottsdale Arizona. We repair all makes, and models of vehicles, as well as specializing in high-end sport and luxury vehicles. We are one of only three certified Mercedes Benz collision repair facilities in Arizona, and the only one located in N Scottsdale. 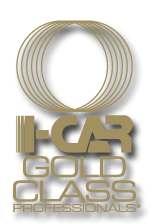 In addition to that we are also a certified Tesla Motor’s collision repair facility as well. Since 1972, we’ve offered our customers the finest quality, and service, while demonstrating the highest ethical standards. Raintree is one of the few Arizona automotive collision repair facilities that practices a GREEN Initiative. We use waterborne automotive paint that does not contain volatile organic compounds (VOC) which are bad for not only our environment, but us as well. In business as in life, it is important to establish, and maintain trusted relationships. At Raintree Auto Body we understand the importance, and the value of those relationships. It is for exactly that reason we worked so hard everyday to continue to build, and maintain those relationships with not just our customers, but with other automotive business’s in our surrounding community as well. 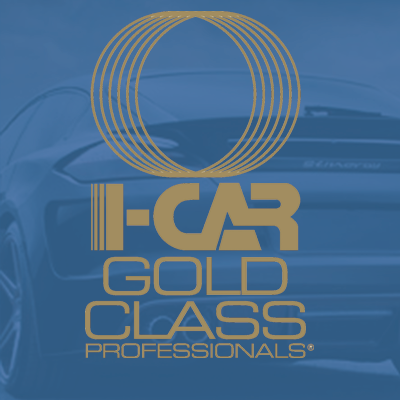 For over 24 years we have been a certifified repair facility for Schumacher European / Mercedes-Benz, and we are also the approved repair facility for Right Honda, Right Toyota, Earnhardt Cadillac, Hyundai, Lexus, Kia, and Earnhardt Mazda as well as Telsa Motors, and McLaren of Scottsdale. Your service at Raintree Auto Body begins with a thorough examination of your vehicle by one of our specially trained appraisers. Every aspect of the damage is studied and recorded to insure the continued value of your vehicle after the repairs are complete. You are then provided with a comprehensive estimate outlining, in detail, the repairs needed to restore your vehicle to its pre-accident condition. We don’t like surprises and neither should you. In the event that hidden damage is uncovered during the repair process, you will be contacted and fully informed of any additional charges that might be necessary before we proceed with the repair. Once your estimate is complete, your vehicle starts its repair process at our state-of-the-art, environmentally friendly facility. Our technicians complete several steps to ensure a quality repair. After ordering any necessary replacement parts for your vehicle, a craftsman removes all damaged elements. This allows our technicians to concentrate on any damage that may have been done to the vehicle’s inner-structure. If straightening and alignment are necessary, repair to the finest degree is made possible by using the Celette dedicated fixture bench system. After the structure has been restored, the new parts are then installed. Sanding, masking and painting are next. These procedures are performed by highly skilled experts to ensure a perfect surface quality. At Raintree Auto Body, we combine up-to-date techniques with top-quality BASF paints that give your vehicle the first-class look of a showroom car.